Did you know that chanting "Om" can heal physical and mental ailments? The origin of chanting "Om" to heal ailments dates back to several thousands of years. This ancient technique uses cosmic vibrations for healing. Chanting Om raises internal vibrations and heals any kind of physical, mental and spiritual disturbances. Chanting Om is one of the preliminary practices in Yoga. Putting aside religious beliefs, devotion and mysticism, let us look at the science behind the benefits of chanting this syllable. Scientists and the yogis believe that at the molecular level, our body is comprised of vibrating atomic systems. The most powerful physical benefits are related to its vibratory effects. The sound of "Au" of OM- acts on the abdominal cavity and the thoracic region, while the "mmm" acts on the skull, inducing vibrations in the cranial nerves. 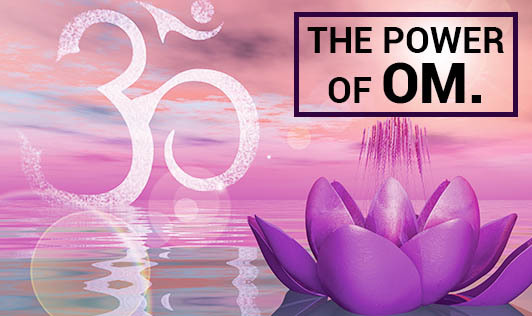 The science behind "OM" has always been of interest to the West and there have been some studies carried out by physiologists on these vibrations and its effect on health. The long sustained sound of the "AU" of OM- causes vibrations in the thoracic cage that is communicated to the air contained in the lungs and stimulates the cells in the lungs for optimum gas exchange. The sound made during exhalation sends a vibratory auto message to the internal organs. These vibrations can reach the deepest tissues and nervous cells increasing blood circulation in the target tissues and internal organs. These effects on the body cause an improvement in the secretion of hormones and its flow into the blood stream. Chanting "Om" makes breathing slow, regular and complete. It in turn improves your lung capacity and musculature of the thoracic region. It also has a direct effect on our mind and helps us control our thoughts, words, acts and even dreams. Practicing to chant "OM" is just like any other Yoga exercise and can be learnt with dedication. There is some kind of a proven positive result from this practice that one needs to experience to believe in.